The term detergent by itself refers specifically to laundry detergent or dish detergent, as opposed to hand soap or other types of cleaning agents. Detergents are commonly available as powders or concentrated solutions. Liquid detergent on the other hand, a detergent in liquid form, is a detergent with a cleansing agent that differs from soap but can also emulsify oils and hold dirt in suspension. Here’s how to make liquid detergent for home or commercial use. 2. Put the mixture in a beaker and add small amount of water. mix it well. 3. Add 50 grams of coconut diethanol. Mix it well using the stirrer. 4. continue mixing until it become sticky. Add small amount of water while mixing to avoid creating bubbles. Set aside the CDA-SLES mixture when it turned cream. 5. In a separate mixing bowl, mix a teaspoon of STPP. Set it aside. 6. Get your cream and mixed it again slowly. when the mixture bubbles, add slowly the STPP mixture while mixing using the electric mixer. 7. In a separate mixing bowl, dissolve 2 tablespoonful of salt before adding it to the STPP and CDA-SLES mixture. 8.Let 2 drops of lemon fragrance to the mixture. 9. Continue mixing using the electric mixer until it become creamy. 10.Put it in a container and set aside. 11. From time to time, scoop bubbles forming at the top of the mixture. 12. 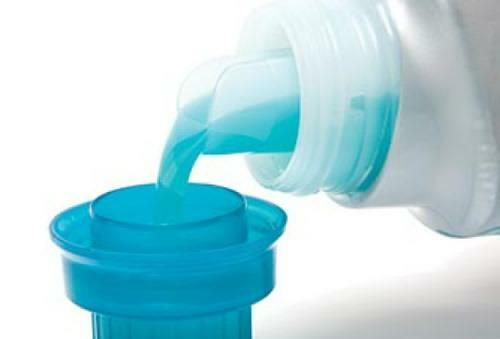 When there is no bubbles anymore, put the liquid detergent in a clean bottle. You can use the liquid detergent after 24 hours. In a separate mixing bowl, mix a teaspoon of STPP.What does it means?.Mix STTP with what? This recipe only make 8 ml? Am i wrong? Does these chemicals has any side effect. What are the pricousionary steps? Where can I buy the ingredients for this?